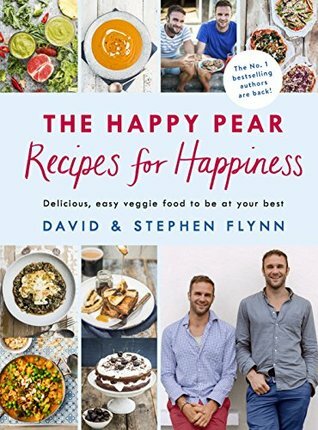 Synopsis: Though they have written two Number One bestselling vegetarian cookbooks, David and Stephen Flynn, the twins behind the Happy Pear cafés and food business, know it can be challenging to juggle everything and still feel inspired! And being busy dads themselves, they also know the pressure of getting delicious healthy meals on the table every day.So Recipes for Happiness is very close to their hearts. And it does what it says on the cover: it is crammed with recipes to make you happier – including a huge section of economical easy dinners that can be rustled up in 15 minutes (chickpea tikka masala, Thai golden curry, one-pot creamy mushroom pasta); gorgeous hearty dishes (goulash, Greek summer stew, an ingenious one-pot lasagne that’s cooked on the hob); a selection of plant-based alternatives to family favourites (burgers, hotdogs, cheatin’ nuggets, kebabs), and irresistible treats (summer fruit Bakewell tart, double choc brownie cake). For nearly 15 years David and Stephen’s mantra has been Eat More Veg!. They have seen fads come and go and they know that what works – for themselves, their families and the thousands of people who eat the Happy Pear way. Cook from Recipes for Happiness and you too will definitely be well on the way to making your life healthier and happier! What I thought about the book: I got a taster of the full cookbook from NetGalley containing 6 recipes. I already own and LOVE their first two cookbooks so I had a good idea I would like this one too. Going by the taster it looks like this book will have more variety than the first two which had a lot of curries in them. I love curry but like other stuff too 😉 This book has delicious recipes for vegan french toast and soda bread which I loved. Soda bread is very popular in Ireland so I loved finding a vegan take on it. I think this book really shows their growth and confidence in making new delicious vegan recipes for everyone and, of course, promoting a happy and healthy lifestyle. The Happy Pear has a wonderful YouTube channel with many recipe videos. The dishes they make are great and they are very entertaining. Check them out here. The Happy Pear: Recipes for Happiness is due for release May 3rd, 2018. 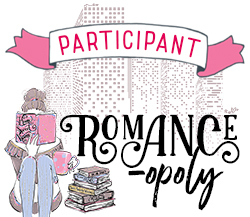 Preorder now from Book Depository.